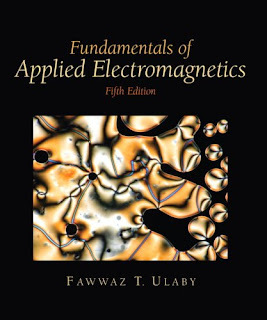 Widely acclaimed both in the U.S. and abroad, this reader-friendly yet authoritative volume bridges the gap between circuits and new electromagnetics material. Ulaby begins coverage with transmission lines, leading readers from familiar concepts into more advanced topics and applications. Includes six new sections on Waveguides and Cavity Resonators, replacing the material on geometric optics in Chapter 8. Presents new Technology Briefs on relevant topics, connecting concepts in the book to everyday applications found in real life, such as liquid crystal displays, the laser, GPS, and x-ray tomography. Includes an interactive CD-ROM that allows readers to gain physical intuition about electromagnetics. A useful reference for engineers.